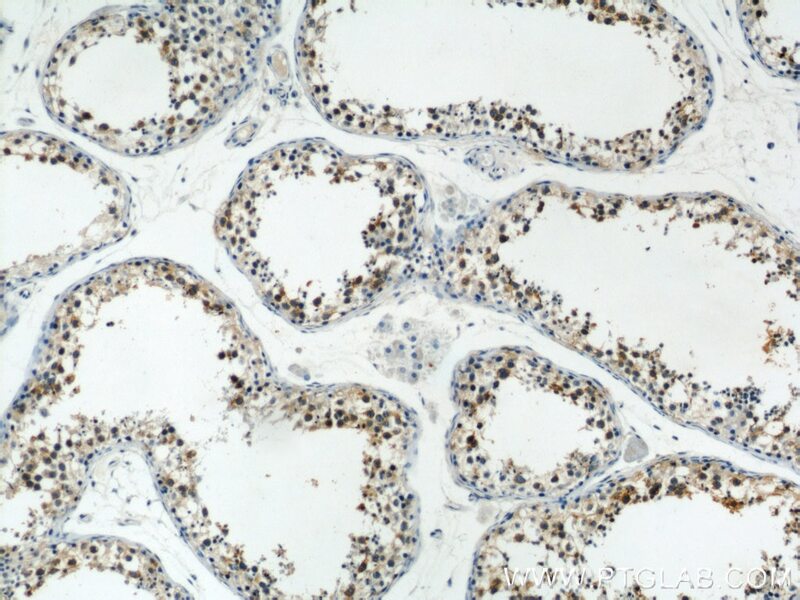 Immunohistochemical analysis of paraffin-embedded human breast cancer tissue slide using 15112-1-AP (CAPRIN1 antibody) at dilution of 1:200 (under 10x lens) heat mediated antigen retrieved with Tris-EDTA buffer(pH9). 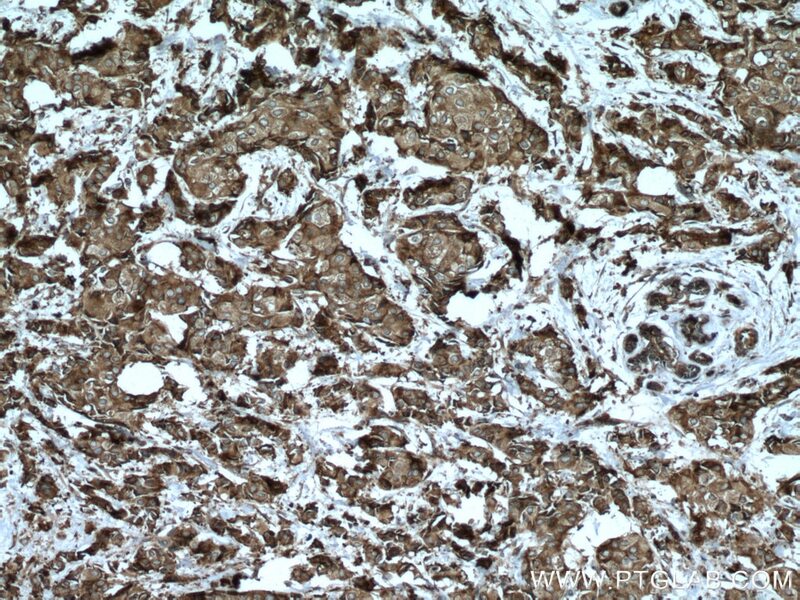 Immunohistochemical analysis of paraffin-embedded human breast cancer tissue slide using 15112-1-AP (CAPRIN1 antibody) at dilution of 1:200 (under 40x lens) heat mediated antigen retrieved with Tris-EDTA buffer(pH9). 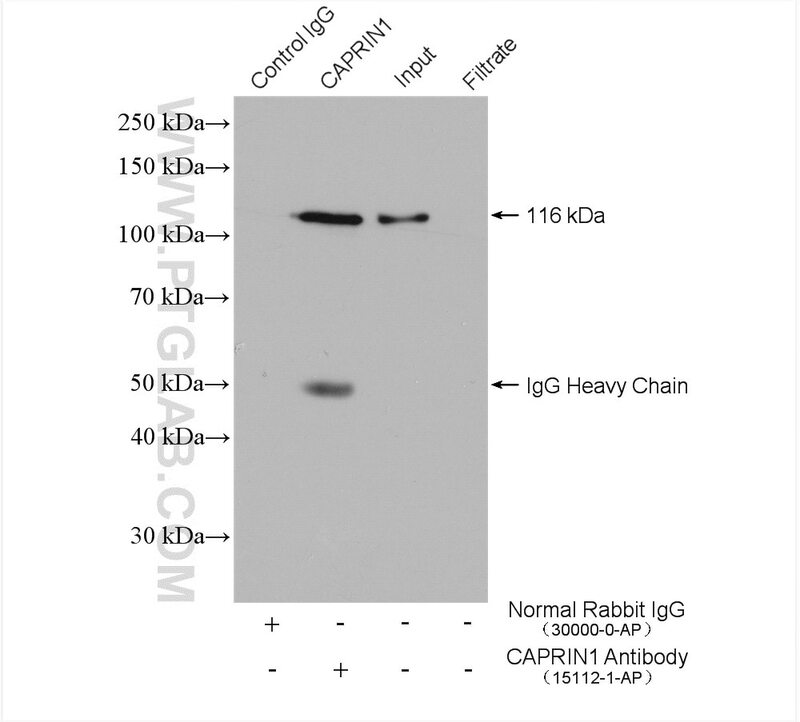 IF result of anti-CAPRIN1(15112-1-AP, 1:200) with OC2 cells by Dr. Emily Towers. 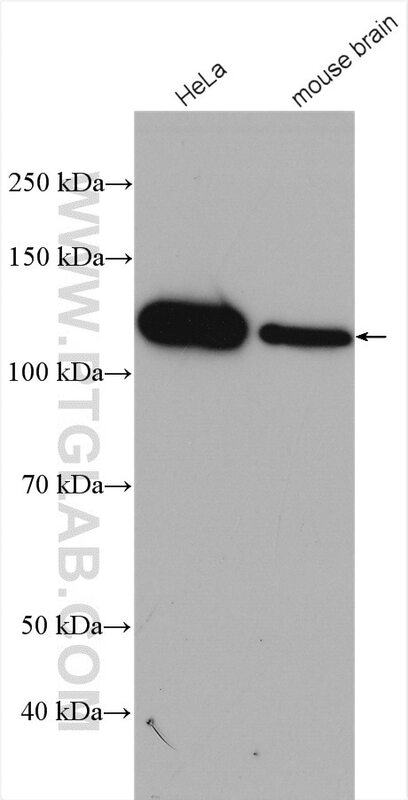 CAPRIN1(Caprin-1) is a cytoplasmic phosphoprotein which may regulate the transport and translation of mRNAs of proteins involved in synaptic plasticity in neurons and cell proliferation and migration in multiple cell types. Its levels, except in the brain, are tightly correlated with cellular proliferation. Suppression of expression of human Caprin-1 resulted in slowing of the proliferation rate,which suggests its essential for normal cellular proliferation. Proteomic analysis of the SIRT6 interactome: novel links to genome maintenance and cellular stress signaling. Targeting a ribonucleoprotein complex containing the caprin-1 protein and the c-Myc mRNA suppresses tumor growth in mice: an identification of a novel oncotarget. Deficiency of the RNA binding protein Caprin2 causes lens defects and features of Peters anomaly. CYFIP1 coordinates mRNA translation and cytoskeleton remodeling to ensure proper dendritic spine formation. 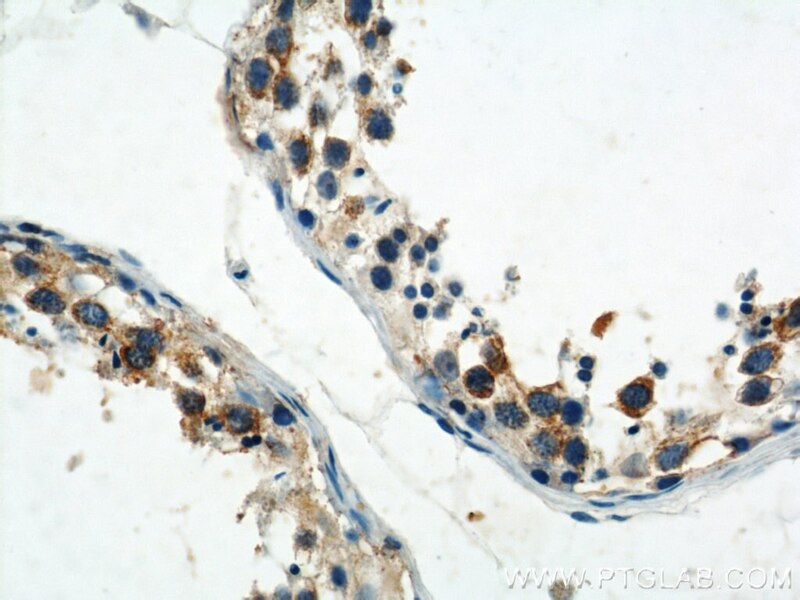 Stress granules and RNA processing bodies are novel autoantibody targets in systemic sclerosis. 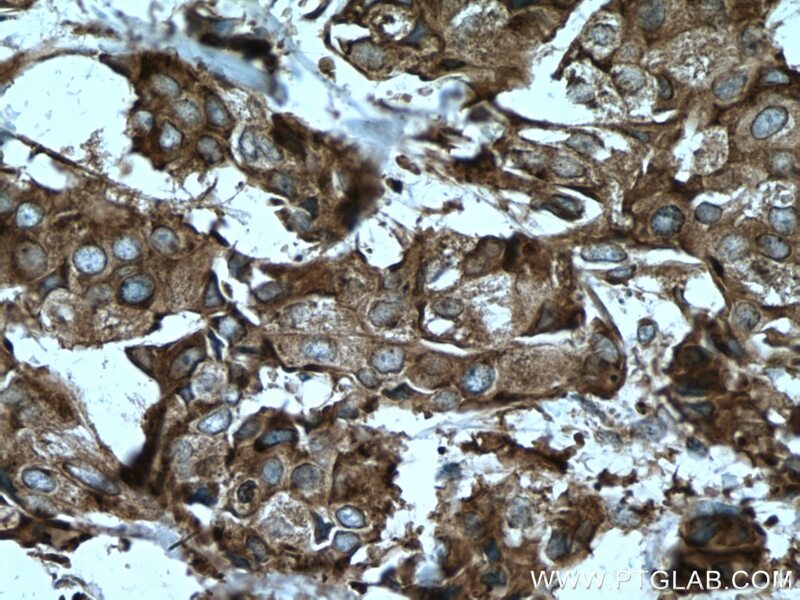 WB result of anti-CAPRIN1 (15112-1-AP, 1:800) with HeLa and ND7 cells by Emily Towers. IF result of anti-CAPRIN1(15112-1-AP, 1:200) with Cochlear cryosections by Dr. Emily Towers. 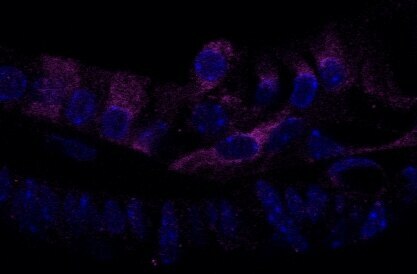 CAPRIN1, purple; DAPI, blue. 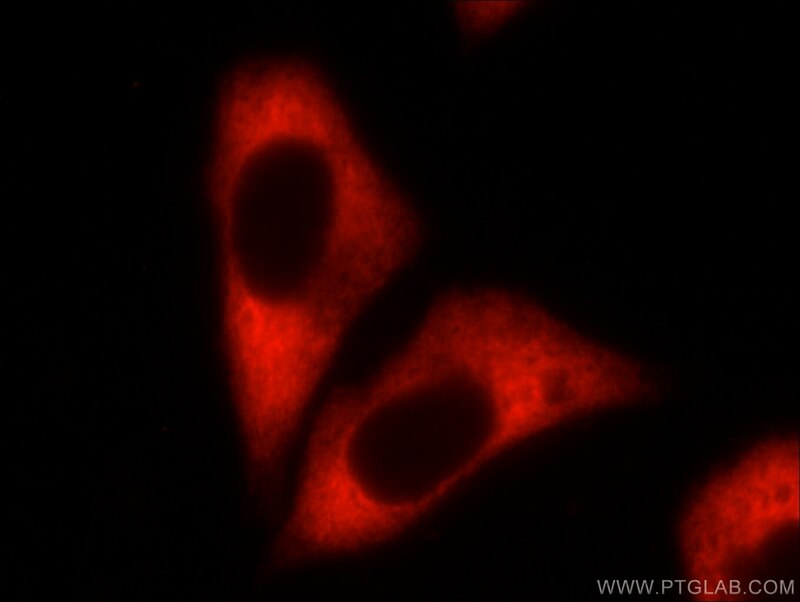 Immunofluorescent analysis of Hela cells, using CAPRIN1 antibody 15112-1-AP at 1:50 dilution and Rhodamine-labeled goat anti-rabbit IgG (red). 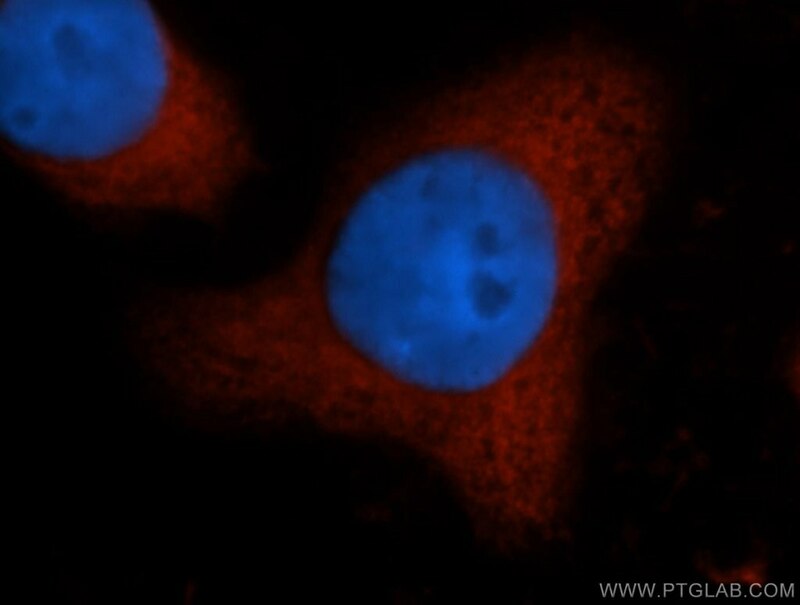 Blue pseudocolor = DAPI (fluorescent DNA dye).